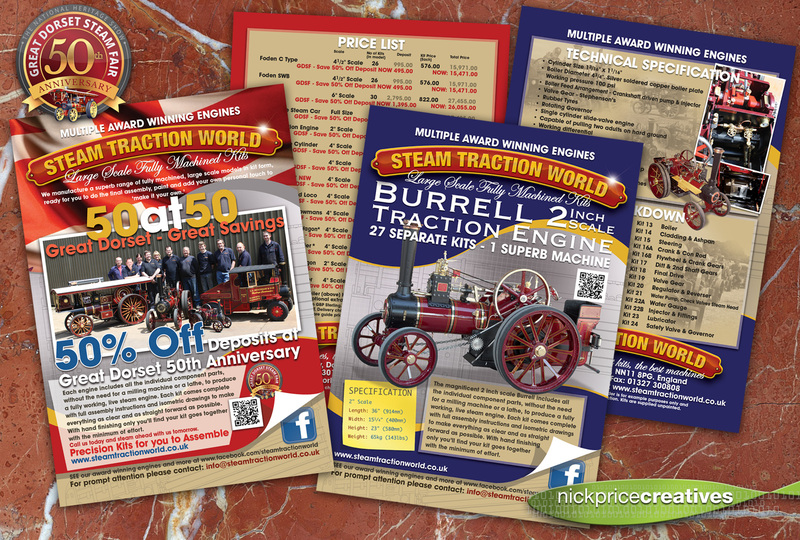 A new round of leaflets, designed and sent off to print today, ready for the 50th Anniversary of the Great Dorset Steam Fair. From small beginnings this annual event has become one of the favoured places for those interested in how people lived, worked and played in bygone years and it is now widely recognised as THE National Heritage Show as well as being regarded as the leading show of its type in the World. The spectacle covers an enormous showground, at over 600 acres being one of Europe’s largest outdoor event locations. 2018 sees the show in its 50th year.